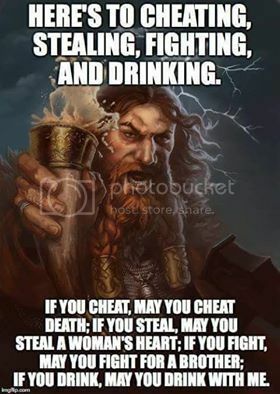 As many of us know, and some may not. 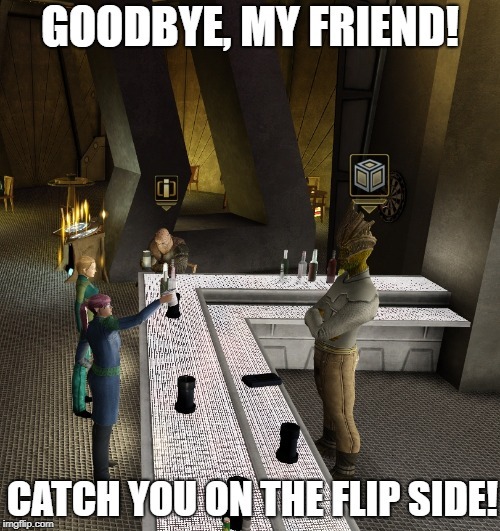 With the upcoming expansion and revamp of DS9, Woadroh "Woadie" Bhoith is leaving us to move on with his life. Hopefully he'll show up somewhere else. Perhaps Club 47 could use a new bartender? So long, Woadroh. Many years with you as a constant presence in the bar. No longer will I be able to greet you with "Greetings, tall, bark, and gangly." *Woadie Bows then makes his exit* Well he is an interesting charater for a npc. Maybe there will be a mission they can do and give him his background and everything. Well Quark is coming in to Replace him in three or four hours. As long as the arrangements made a number of years ago are still honored...If not, my characters will see if Quark is open to negotiations for certain...allowances. After all, since Quark's is the Ferengi embassy, latinum talks, targ**** walks.